Electric bicycle fitness is for those of you who don't or can't exercise with a conventional bicycle. If you are using your bicycle for exercising, keep on doing it! It is a great form of exercise. But if gentle cycling puts too much strain on your heart and lungs and you just can't ride a conventional bicycle for a significant amount of time, electric bicycle fitness might be the solution for you. The electric bicycle job is to augment the human power and not replacing it. Therefore, it can be referred to as an hybrid machine that incorporates both your pedaling power and the motor power. Which means, in simple words, that you can work as little or as much as you want. Electric bicycle fitness promotes a healthy and active lifestyle by making it easier to get out and get regular exercise. It combines aerobic exercise and serious transportation vehicle altogether. Will an e-bike make you fitter or lazier? You do have to use less effort compared to conventional bike when riding on an e-bike, but on the other hand you would probably ride for much longer periods of time overall, thereby the frequency of you exercise will increase. With the help of the motor, you will be able to get on the e-bike regularly, riding to work and back, and getting regular, moderate exercise which otherwise you probably wouldn't get. Electric bike are not suppose to be rivals to the expensive carbon fiber road bike ridden by the super-athlete. But they are for sure an attractive competitor to the petrol-guzzling car. You can incorporate exercise to your busy life. For example, when driving to work, you can set your pedaling effort to minimum to just enjoy the ride and arrive to work fast and not being a sweaty mess, but on the way back home you can pedal harder and gain more exercise. And let's just not neglect the fact that you always have the option to switch the power off and just pedal! After all this is a bicycle, and even if the motor is on, it's just feel natural to pedal and not just sit there. You would use the e-bike in many cases that you probably would not have been consider otherwise. You will probably start to use the e-bike on a regular basis, as many people do. And of course, if you compare riding an e-bike vs. sitting in a car, there is really no comparison. Just imagine if you would replace your X hours per week of car travel with an electric bike. This is X hours of moderate exercise that otherwise would be spent sitting in traffic in your car. And in addition, it will save you up in automobile costs. You can buy either a twist & go electric bike which can move without you pedaling or you can purchase a pedelec which force you to pedal in order to get the assistance from the motor. From a fitness perspective, each of this propulsion methods has its own benefits and drawbacks. With a pedelec, you can set the pedal assistance mode. The different modes determine how much the motor is going to help you. It will make it easier to go but you won't be able to move without pedaling at all, which ensures you will do some exercise. There are also conversion kits (Like the one from Bionx) which offer generators mode (or inverse-assisted mode). Instead of getting assistance, you actually get resistance. You can set the kit to different level of resistance. 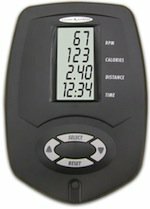 In that way you get an exercise bike which you could use outdoor for your aerobic exercise and you can always flip it to assisting mode whenever you need a boost. Also, the extra pedaling in the exercising mode is used to charge the battery. With the twist & go version of the e-bike you have more freedom. If you afraid that you won't be able to pedal at some point because of too much strain and pain, you should consider this kind of propulsion. Usually it includes some sort of economic and fast modes which let you control how much power comes out of the motor. This type of e-bike can give you the confidence that even if you can't pedal anymore, you will still make it, so if it is the case go for the twist & go. Many people are giving up riding a bicycle because they are not able to cope with ridings up hills for whatever reason. E-bikes are great for solving this issue, the motor can assist you with the hills. You just have to determine how much help you need from it. A hill that may, with a conventional bike, completely take you out of breath and send your heart rate screaming will become easy with an electric bike. E-bikes give a reassurance to users that may need a push to overcome their fear of cycling. With a battery, you can go further without worrying if you will be able to make it back or not. The idea of being too tired don't have to deter you anymore. Just go anyway. In the worst case, you will just drive back home using just the battery without doing any pedalling (be responsible - don't forget to make sure that you have enough battery energy to make it back). If you are trying to loss weight, an electric bicycle is a great option. Many overweight people are not able to ride bicycles. Using home exercising bike is an alternative but many find it less enjoyable to cycle in the same place while watching TV. Many people who want to get fitter and lose weight do succeeded in doing just that with the help of an e-bike. Riding a bicycle is a fun outdoor activity and with the electric bike, everyone can enjoy it. You just have to make sure you choose the right e-bike for your needs. Also, if you look for some inspiration and encouragement, log on to this blog:weightloss.optibike.com. You will find here the story of Eric R. and Jim M. who share their progress using the Optibike. Optibike also offers a coaching program, if it sound like something that might be interesting to you, log on to:Optibike Coaching. 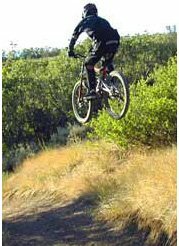 Another great resource about bicycle fitness can be found in the following two links from bicycling.about.com: 1, 2. Rough estimation - one hour of cycling at moderate speed with an electric bike burns about 300-350 calories, while cycling with an unmotorized bike for the same amount of time burns somewhere around 600-1000 calories. But, most of the unmotorized bicycles are used only once, maybe twice a week. Many electric bicyclists, on the other hand, use their e-bikes almost every dayand for longer distances. So although riding a conventional bicycle burn three times the amount of calories, in the long run, for the average rider, an e-bike can be very effective simply because it is being used more. Moreover, not any bike ride should equate to a vigorous high-intensity exercise. An e-bike can give you a mean to incorporate low intensity aerobic exercise to your daily life (plus, you don't need to find an extra time for exercise if you just use your e-bike for your daily commute.) A few hours of such moderate exercise will easily put you, over the long run, in a very good shape.